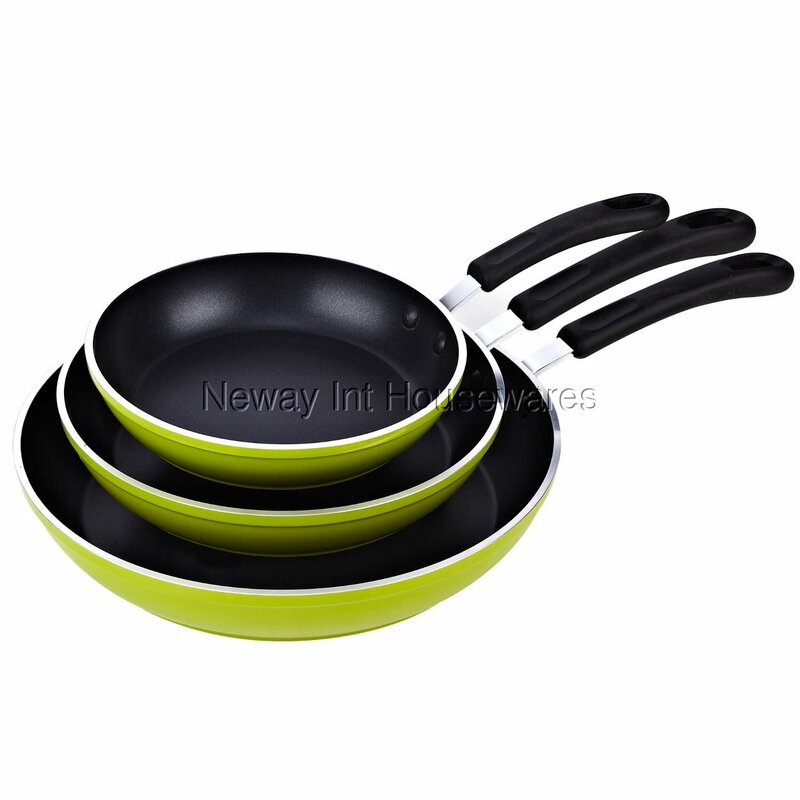 The Cook N Home 3-Piece Fry/Saute Pan Set with Nonstick Coating, 8"/10"/12", Green is made of thick gauge aluminum that provides even heat conduction and prevents hot spots. Nonstick coating makes cleaning easy and is cadmium and lead free. Bottom is compatible with induction stoves. Soft handles are comfortable and stay cool while cooking. Dishwasher safe, oven safe to 350F, and can be used on all types of stovetops. Please do not use metal utensils as it may scratch the nonstick coating. Over-heating may damage nonstick coating. Putting a hot pan in cold water may reduce nonstick coating life span. See further details in use and care manual.